The period between the percussion era and the metallic cartridge era was time of great experimentation. All sorts of ideas for improving the muzzle-loading type of firearm were put forth. Some of these ideas are still with us today in one form or another. Others barely saw the light of day. All were innovative. 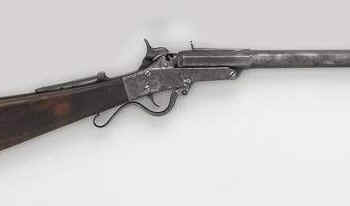 The repeating rifle was the goal for many, but it was the natural outgrowth of the single-shot rifle. 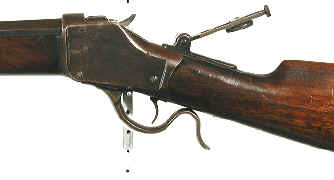 Before the repeater could become reality a reliable and safe breech-loading mechanism had to be developed. 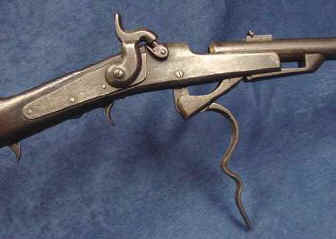 Many ideas for a breech-loading mechanism were tried over the years starting with the flintlock rifles, with varying degrees of success. While there were a number of ingenious ways employed in developing a breech-loader, in this article we concentrate on lever-actuated designs. We are Leverguns.Com after all. 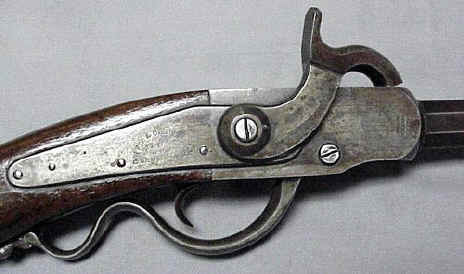 There were a number of lever-action designs for opening the breech. Some were of the "tip-up" or "break open" design. Others slid the barrel forward while still others were of the "falling block" type. Some were of the "rising breech" design and there were also various "pivoting breech" designs. Within each of these types there are variations that make all of them very interesting. Some of these ideas are still with us in modern single shot rifles while many others just could not make the transition to the new higher-pressure smokeless powders that were introduced by the early 1900's. First, it is not complete. I am no expert on the subject and am simply reporting on what I have found. I am sure I have overlooked or missed some. 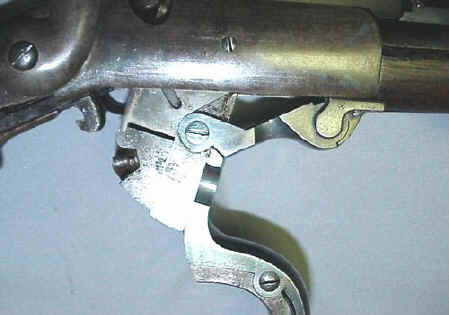 Second, it only covers those single-shot breechloaders that are lever-actuated AND that were made before 1900. 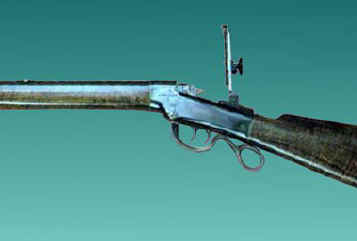 There are a number of lever-actuated single-shot rifles, carbines and shotguns that have been made since that time. I have not made an attempt to list them. That will have to wait for another day. Third, the list is not in order of manufacture. The firearms/makers are listed alphabetically. 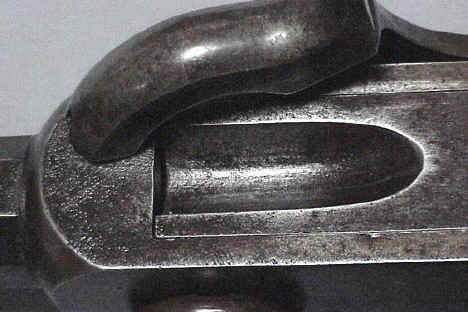 Bullard - A falling block design that was produced in many types and variations in calibers .32 rimfire to .50 centerfire. C.B. 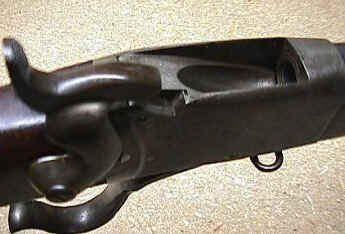 Holden - Called an "open frame", the entire right side of the receiver was exposed. 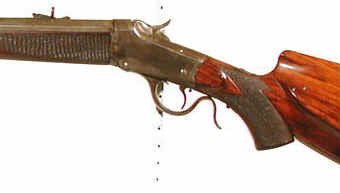 A unique design, made in .44 rimfire. Cosmopolitan - Produced in .52 caliber, it was made in two designs. One was a falling block and one was a pivoting block. 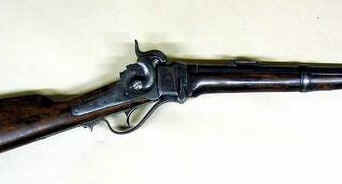 Gibbs - Made in .52 caliber, the barrel slides forward when the lever is lowered. 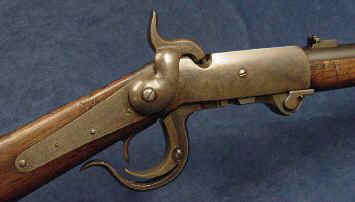 Remington-Beals - Made in .32 and .38 rimfire, when the lever is lowered the barrel slides forward. Frames were made in both brass and iron. 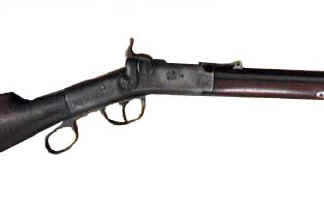 Rising Breech - Produced in Virginia for the Confederacy, this unique rifle used a .54 cal. paper cartridge. It is unsure who built these. 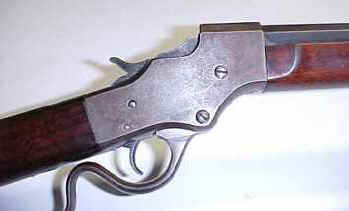 Schroeder - A needle-fire gun and cartridge, when the lever is lowered the barrel slides forward. 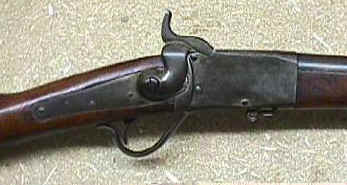 Maynard Jr. - .22 rimfire, action similar to the Maynard rifles. 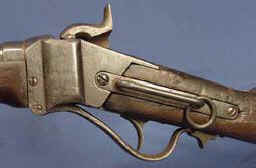 Symmes - .54 caliber, lowering the lever raises the breechblock and allows it to pivot backwards, exposing the chamber. 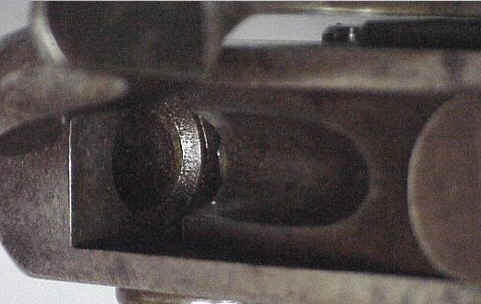 Whitney-Cochran - .44 rimfire, lowering the lever raises the breechblock. Whitney-Howard - .44 rimfire and 20. a "hammerless" design. The action was weak and was noted to blow open at times. I am sure I have missed some. There were a great many obscure gun-designers who were trying to get their ideas produced. As I said, these were all BEFORE 1900! Since that time there have been quite a few single-shot lever-actuated designs marketed both in rifle, carbine and shotgun types. Interestingly the leveraction repeating shotgun is not dead. Why I do not know, but there still seems to be some market for them. These and the single-shots we will cover at a later date.